I know I say that I'm always working on exciting projects with brands, Some I can talk about some I can't quite tell all yet. Despite the fact sometimes I ALWAYS just want to tell everyone everything! However, today I'm incredibly excited to announce something that I can actually talk about! I've been asked to partner with Galaxy and be part of their Essential Upgrades campaign. Galaxy Essential Upgrades is all about small things you can do to make an experience just that little bit more special. Therefore in the upcoming months I'll be working alongside Galaxy Essential Upgrades, creating a variety of blog based content based on my ideas of “Essential Upgrades”. I'll be focusing on things to do with upgrading your life, wardrobe and makeup bag and many more. I already have so many of my "upgrade" ideas to share, things like D.I.Y's, must have products to add to your makeup collection, tutorials, short guides on making the most of the clothes already have and loads more. As part of my first ever post, I've been asked to introduce myself to the Galaxy Facebook audience and those who might not already know me! Although, I'm hoping a lot of you guys reading this on my blog will already know me by now! I'm Lily. I am 22 years old and live in London. I did a degree in Graphic and Media design and graduated last year, However I'm a blogger most of the time nowadays. I also run my own jewellery store called JWLRY and work alongside various brands and networks on a freelance basis for social media projects. I've been blogging for almost three years now on my original blog LLYMLRS. Which on reflection I probably would have called it something easier to say, but it's my name without vowels! LLYMLRS is a personal style blog where I post daily photos of outfits I wear. Everything I wear on my blog are things I wear in real life, none of it is set up purely for blogging! In late 2011, I launched a secondary follow up blog called ETCLLYMLRS which is a beauty and lifestyle blog. On that blog I tend post about things I do, products I try, events I attend, things I want to buy and anything else that comes to mind! I started blogging as part of a university project and now its grown beyond my wildest dreams. I'm so thankful for the opportunities and some of the things I've got to do in the past three years because of my blog! I've been to London Fashion Week, Presented videos for a major fashion designer, Worked with high-street and indie brands as well as meeting some of the most inspirational and creative people in my life through blogging! 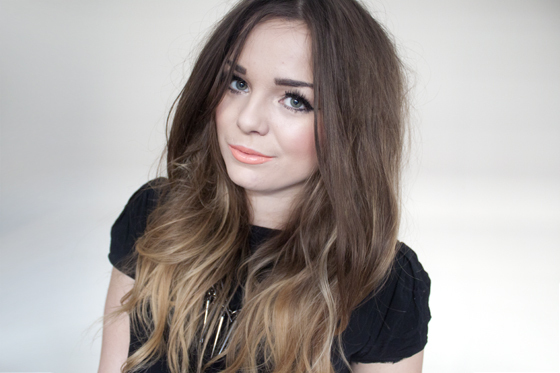 I'm mainly inspired by the people and places in London, other bloggers and high street shops. I love the UK high-street and try and make everything I buy fit in to my own style. As for a few random facts about me I love pro-wrestling, history (especially the Mayans), making frivolous purchases and tweeting way too much! Follow me on @llymlrs! Be warned though, I do talk a lot! So a big “HI” to potential new readers who've come over from the Galaxy Facebook page to check my blog out! And to everyone else who already knows me I hope your as interested in whats coming up over the next couple of months! I'm genuinely excited to be involved with this project! And NO I won't be blogging about chocolate or Galaxy constantly! Personal Disclaimer: I am being compensated by Galaxy Essential Upgrades for creating content for them. None of the following posts I create are constructed or forced by them. All opinions and ideas are my own. I am not affiliated with any of the brands mentioned in any posts apart from Galaxy. So happy for you Lily! You look gorgeous in the picture too. Cant wait for more posts on this. You have the prettiest hair! I love your blog! Congratulations! Looking forward to essential posts, would love to have some ideas to make the most of stuff I already have! sounds exciting, looking forward to reading the posts! Sounds like a really interesting new project. Congrats Lily! you are so pretty! this new project sounds really exciting. Ohhhh that's some great news! Its great being able to share without feeling guilt! Awesome!! Sould really great! Can't wait to see these posts! Luv your hair in this photo! That sounds exciting! :D Great opportunity for you. 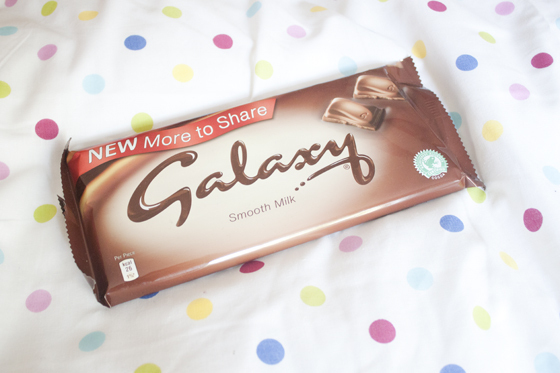 Okay, so Galaxy is my favourite chocolate in the WORLD and I'm incredibly jealous. Just looking at this post makes me miss it cos we don't have Galaxy down here! Though, apparently Dove chocolate is the same thing... I have to taste test that. The project sounds so exciting! Can't wait to read your upgrade posts! congrats Lily! Sounds like a really fun project! Really want that white studded jacket you photographed at Glamorous, will have to wait! your hair looks great in this pic. This might be random, but I've always pronounced your blog name Lily Molares. Don't ask why, I'm know you're Melrose, but I never knew your surname before and it stuck ! So its not hard to pronounce at all I guess ! i have to know -- what lipstick are you wearing!? It's amazing what you can do with blogging!